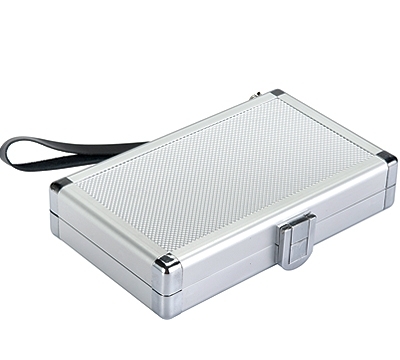 This Aluminum dart case features an embossed aluminum exterior and wrist strap. 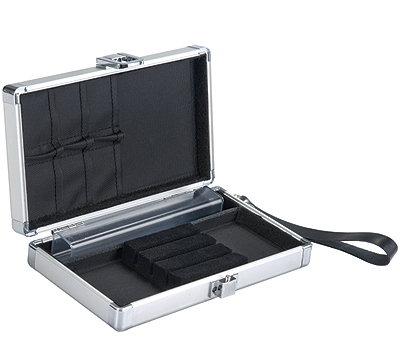 Inside is a foam insert that holds 1 complete set of darts with 1 storage tube and 6 pockets to hold all your accessories. Dimensions: 4 1/2”W x 1 7/16”H. 7” long.